Home Tags Posts tagged with "BLU"
Born out of a fierce need for expression of strong social disadvantage, every year street art is becoming more and more vanilla. The spreading of urban art festivals has a lot to do with it: curators usually want something aesthetically nice, which will please everybody. It’s gone from a tool to convey radical political messages. 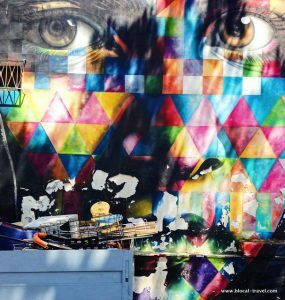 Now street art has become a ‘tool’ to decorate walls – probably the cheapest way for public administrations to show that some action has been taken to redevelop the outskirts, even if they’re only putting up a façade (no pun intended). 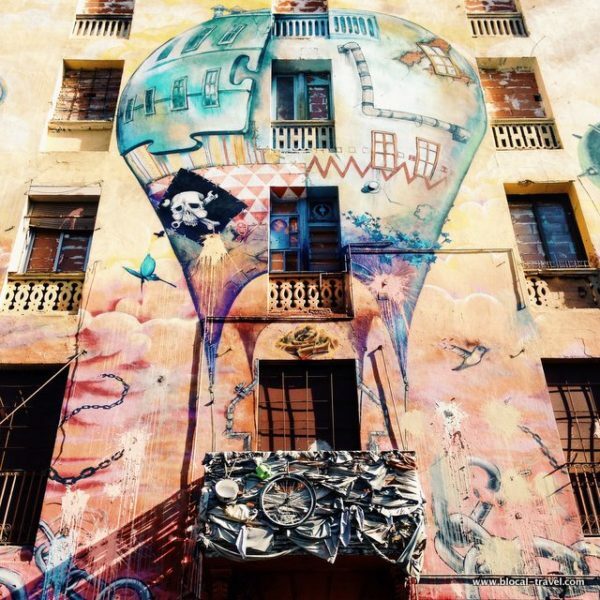 They say street art in Barcelona was a big thing until 10 to 15 years ago. That was before the city council began to ‘clean up’ the city by tightening graffiti laws, imposing big fines and white-washing the most colourful areas in town. 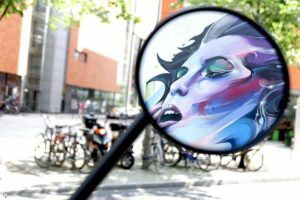 Later on, a few street art festivals such as ‘The Influencers’ and ‘OpenWall Conference’ claimed some legal walls around the city, while spontaneous street art is essentially reduced to stencil art and pastel art (as in these cases the fine is lower if you are caught). It goes without saying that I picked Lisbon as my summer destination for its street art scene. 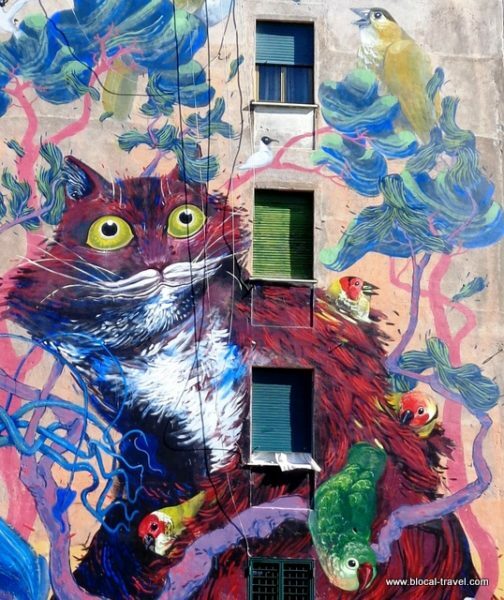 Lisbon City Council has pioneered an active role for public art in its drive for urban renewal, so it’s no wonder that the Portuguese capital is more colorful and artsy than other European towns. 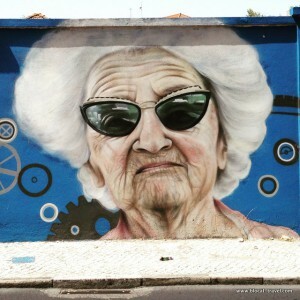 As usual, graffiti hunting allowed me to discover some of the most creative outskirts in Lisbon and get to know the town beyond its touristy city center, confirming that ‘street art tourism’ might be the best way to explore a destination, or at least it works for me. 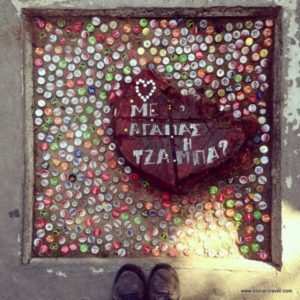 “Are you going to the islands?” an old man approached me outside Thessaloniki train station. “Nope, I’m staying in town,” I replied, folding the city map and hiding it in my pocket. I asked him to show me the way to the hotel instead but, since he was firmly convinced that, as a foreigner with a backpack, I must head to the islands, I said goodbye and took the first street away from the station.